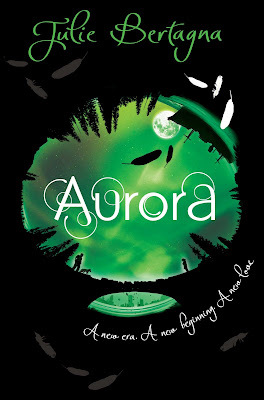 Having read the previous two books in the series, Exodus and Zenith, it was only natural to read this third and last book, titled Aurora. I was most displeased to find that this cover was in a different style to the previous two books (released by Picador), so I could complete the collection. The other two covers by Picador were simple yet sophisticated. Whilst this new set of covers look good for the teen audience it is aimed at, I would've liked them to at least have released the last book with the previous cover style, and save this new set for a re-release. Mara has given birth to Lily in their new home in the Northlands, called Candlewood. Her daughter is as spirited and feisty as her, and when she hears that Rowan isn't her actual father, she vows to find him on the other side of the world. Meanwhile, Fox is stirring up a worldwide revolution, with his adopted sea urchin Pandora. As Lily ventures into a world she has been shielded from, she stumbles into great trouble as well as deep revelations, meeting people she'd only heard about in the legends she's been told. Will Lily be reunited with her father? How will Fox's plans change if he found out he had a daughter? The focus of the story at the beginning centres on Lily, Mara's daughter, whom I honestly didn't like very well at that point. I wanted to read about Mara's adventures, not Lily's. Her naivety and stupidity in the things she does truly upset me as a reader. However, I soon realised that her role in the book is super important and that she is the catalyst for the events that unfold, steering the plot in the right direction. ...until you reach the climax which was explosive, action packed and causes your heart to race as you read- I noticed I read quicker just to try and find out what happens. There was something unpredictable as events died down in the way we are led to an ending. I was rapidly running out of pages, and yet I feel there is something left uncovered. The final chapter was, however, predictable, though extremely well written. I loved that the author chose to end at this point. Unfortunately, it wasn't as sharp of an ending as I thought it could be. Had she continued it just a line more and used a phrase, a sentence or a line from the first book to bookend the final encounter, I would've died with satisfaction. In this way, it didn't feel like the last book. It didn't feel like all the characters' story lines were closed. There was so much more that this series opened up in this book than any other. A spin off of the series could include Candle's future, a character I thought was underdeveloped, as annoying as she was to begin with; also the war that has only just begin in this book could deserve a second novel. I was also somewhat shocked at the brutality that this book described. There were some pretty dark themes and quite shocking violent events that happened that I thought I'd never read about in the series, but I guess this dark tone is appropriate for such a tense and explosive moment in the series. Aurora ties together many of the events that happen in the previous two books with a lasting message of hope and love. Whilst the second novel seems bland in comparison, it paves way for this explosive finale to Mara, Fox and Lily, their daughter. The book is well paced, exciting and exhilarating, and I wish there was more!